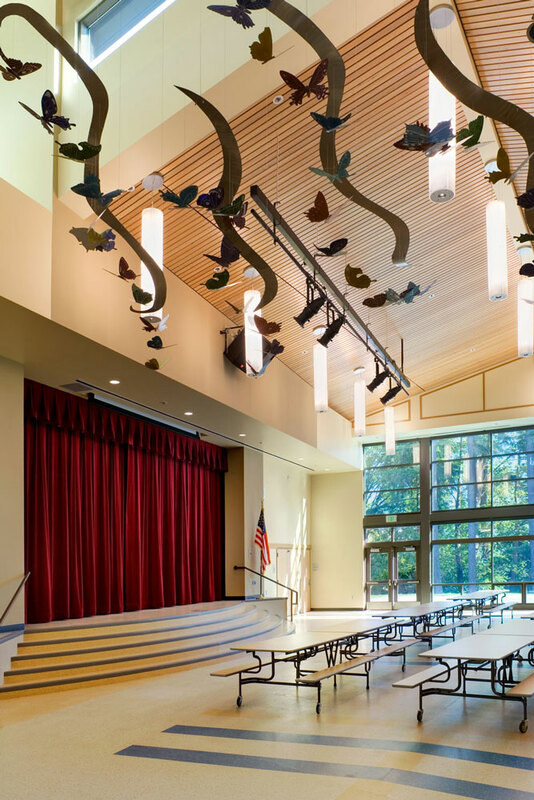 Robert Frost Elementary School offers its community a new facility featuring art, poetry, and light-filled, shared learning spaces. Driven by the unique nature of the site and the outcomes of the community planning workshops held during the early stages of the project, the school design provides flexibility and strong, clear connections in and out-of-doors. By rethinking conventional configurations and infusing poetry and art into the design, the building has become a truly unique and inspiring place to learn. One of the challenges of the project was to fit and construct the new school on the site, while maintaining operation of the existing school. 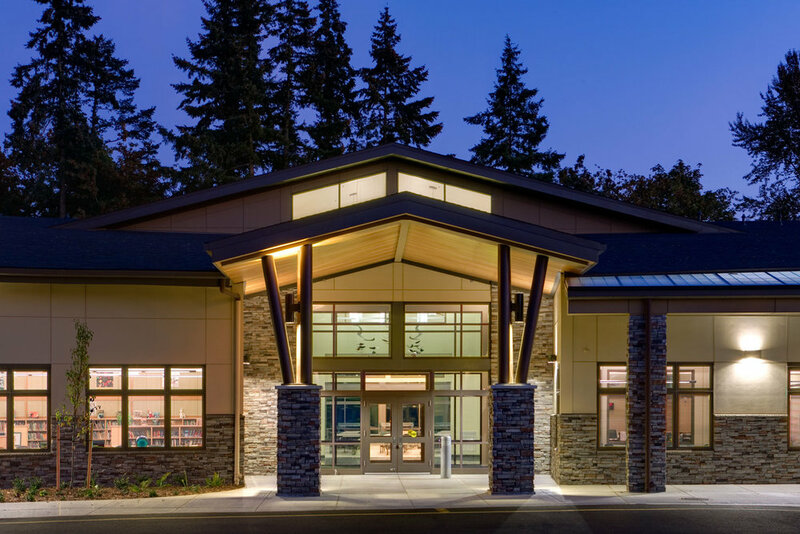 The two-story facility was curved around the existing school buildings in order to preserve the site’s forested areas. Two existing classrooms and a covered play area were demolished prior to the start of construction, and temporary play areas were constructed to accommodate physical education and recess. Sound resistant folding wall systems, teacher workroom/prep/storage spaces and small group/planning rooms provide flexibility and visibility for various sizes and configurations of learning groups. Several elements throughout the site pay homage to Robert Frost’s poetry, including a rain garden “Hyla Brook”, a grove of “Birches”, “Mending Wall” seat walls, and a diverging forest path, “The Road Not Taken”.